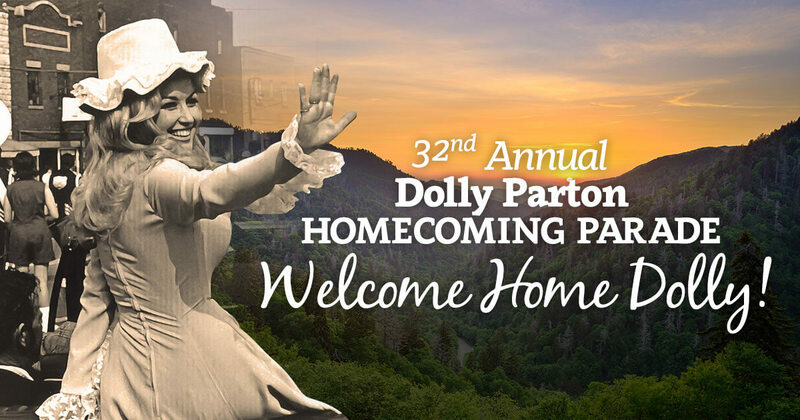 It’s a big day that usually attracts in the range of 50,000 spectators, some from all over the world, just to see Dolly, Tennessee’s favorite daughter. Come early is the best advice for this parade, and all day people will be jockeying for best parking, and pouring into Parkway to set up lawn chairs in good spots to wave to Dolly and all the other parade participants. It’s a fun parade with some impressive floats – as many as 130 different floats are expected this year. It’s always a mystery until the parade what the theme of Dolly’s float will be – as usual, she’ll have a sound system hooked up so she can talk to fans along the way. There will be local entertainers, celebrities and costumed characters, accompanied by marching bands, baton twirlers and military veterans, with a parade-sized collection of special vehicles and groups, prancing horses and excited children jumping up and down! Light #6 is around the center of town close to city hall. Further south is Patriot Park, and the road out to Dollywood itself. Veterans Boulevard and Teaster Lane are two good roads to use to avoid much of the jam that can happen on Parkway. Northwards, the parade route ends at Wears Valley Road to the left, with The Island just before this, over to the right. There’s plenty of free parking available in town, as well as good paid places, so pick your preference to suit your family and your idea of a short walk. May kicks Springfest into high gear with numerous events and festivals. The Dollywood theme park has been open since March, but May is the month when Splash Country joins its sister, opening on May 13, 2017. With a new Dolly Adventure show starting the same day, maybe Dolly’s float will embody this theme? We have to wait and see – and jump up and down with the kids if we want to!